People ask me this question, or some variation of it, all the time. 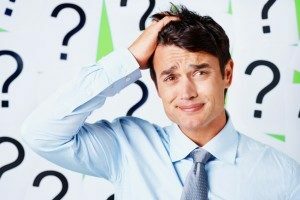 They want to know, “What will we talk about during our coaching sessions?” or “What will I get out of working with a business coach?” In some ways, the answer is complicated. The coaching process is highly specialized and geared towards each person’s individual needs and strengths. My coaching sessions with one person might look completely different from my coaching sessions with someone else. After nearly thirty years of using my coaching skills, however, I have noted a few hallmarks of good coaching (whether life coaching, business coaching, or ADHD coaching). Good coaching is forward-thinking rather than backward-looking. In our coaching sessions, we will focus our time and energy on the present and on the future. It helps me to know a little bit about your background and your personal story, but we will not spend much time, if any, delving into your past. Instead, we’ll take stock of your current situation–whether your personal, business, or academic life–and figure out where you want to go. One of the major questions we will tackle is, “How can the coaching process help to elevate you from where you are to where you want to go?” A good life or business coach works to help you envision a more balanced and successful future and then helps you acquire or hone the skills to achieve that vision. This work is very practical and very strategic. The role of a life or business coach is to help identify your strengths, skills, and abilities.This function of a coach is perhaps one of the most important. Much time, energy, and resources are wasted when people labor to become better at things that they’re just plain bad at. Don’t invest extra time in “improving” areas of natural disinterest. Instead of frustrating yourself and sapping your energy from more important things, a good coach will prompt you to identify and examine what you’re good at. A coach works to maximize your strengths.Once you have figured out where your strengths lie, your coach should ask, “How can you use your strengths to position or prepare yourself to become the best?” My role as a coach is to push people to ask the hard questions that will help take them to the next level, guiding them to achieve greater balance, clarity, and success in life, school, or work. An experienced coach engages in the coaching process as a dialog or collaboration. The coaching session should involve a lot of back-and-forth between you and your coach. A coaching session is neither an advice-giving session (where the coach does all the talking) nor a therapy session (where the client does all the talking). I always work to make sure my coaching sessions are balanced conversations–focused on exploring creative solutions and strategies, exposing blind spots, and asking questions.